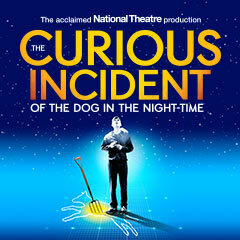 The Piccadilly Theatre on London’s West End is home to an array of productions, including The Curious Incident of the Dog in the Night-Time. Read on for information on Piccadilly Theatre directions and maps, events taking place, and how to book tickets with Theatre Monkey today. CAPACITY: The Piccadilly Theatre has a capacity of 1,200. WHEELCHAIR SPACES: The Piccadilly Theatre has two wheelchair spaces in the Box and one transfer seat in Royal Circle. DISABLED TOILETS: Unfortunately there are no disabled toilets at this facility. HEARING IMPAIRED ASSISTANCE: Unfortunately no hearing impaired assistance is available. GUIDE DOGS: Guide dogs are not allowed inside the Piccadilly Theatre auditorium, but staff can look after up to two dogs per performance. NEAREST TUBE/RAIL STATION: To reach the Piccadilly Theatre, the nearest tube is Piccadilly Circus. 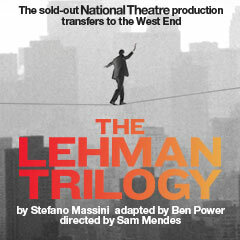 BUSES: Reach the theatre by the following bus routes: 3, 6, 9, 12, 13, 14, 15, 19, 22, 38, 53, 88, 94, 159. NEAREST CAR PARKS: If you are travelling by car, the nearest car parks to the Piccadilly Theatre are just a short walk away, on Denman Street, Brewer Street and Poland Street.